Does Sue Ramirez want to have her own teleserye and love team partner? 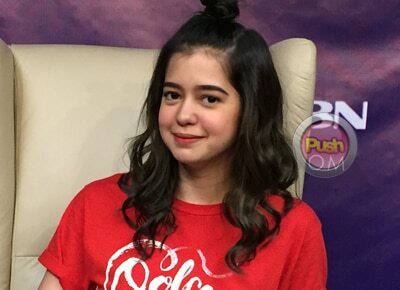 After starring in the recently-concluded primetime series Dolce Amore, is actress Sue Ramirez looking forward to starring in her own teleserye with her own on-screen partner? According to the young actress, she is not really picky when it comes to work given to her. “Kapag trabaho naman, actually, wala naman akong pinipili talaga. Mapa-love team, mapa-solo, mapa-support, wala. There are no small roles,” she told PUSH.com.ph. Furthermore, Sue emphasized that she treats every role she gets equally, echoing her stand. “For me, lahat ‘yan trabaho and I should take it as I take every role naman. I do it with the best that I can with all that I can do so all roles are treated the same. Walang mas nakakaangat, walang mas nakakababang role. Everything is just the same,” she said.